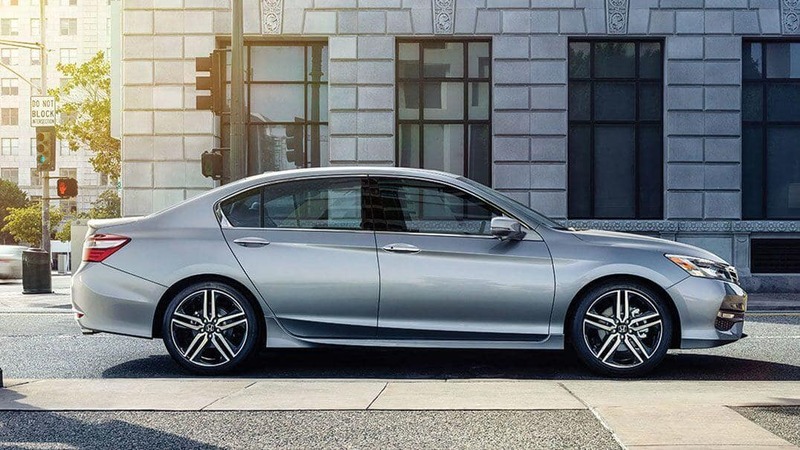 The redesigned 2016 Honda Accord Sedan has done it again. It’s raised the bar for all other midsize cars. Jackson Honda fans will undoubtedly love the updated exterior design, available features, and improved efficiency. That’s not all though; the 2016 Accord Sedan has state-of-the-art entertainment and safety technology coursing through its veins. Welcome to the future! The Accords sportier design is matched by its improved performance. Honda’s goal was to offer drivers a more engaging and responsive vehicle and they have succeeded. The 2016 Accord is now quieter, more responsive around town, quieter and smoother on the highway and easier to handle on our winding roads. Once inside, the Accord won’t disappoint. You’ll appreciate the spacious, comfortable interior, high quality fit & finish and easy to use controls. To help drivers keep their eyes on the road, the controls have been simplified into intuitive groupings. It’s this attention to detail that keeps the Accord at the top of auto enthusiasts list year after year. The Accord can be “the car that looks out for you.” Standard safety features include Vehicle Stability Assist, Advanced Compatibility Engineering body structure and six airbags. For 2016, every Accord model makes available or comes standard with the Honda Sensing suite of safety and driver-assistive technologies. These features include the Collision Mitigation Braking System, Forward Collision Warning system, Lane Departure Warning system and Road Departure Mitigation system. The Accord’s new audio system and digital experience has been designed to keep the driver connected to their music and smartphone-enabled digital lifestyle through controls that are intuitive and easy-to-use while minimizing driving distractions. Accord Sedan EX models and above feature a 7″ display audio system with Apple CarPlay and Android Auto as well as HD Radio, SiriusXM Radio. Available in two powerful, fuel-efficient engines, the Accord offers midsize car shoppers options. Our most popular Accords are equipped with a direct-injected 2.4-liter inline 4-cylinder engine with an available sporty continuously variable transmission (CVT) or a unique 6-speed manual transmission (LX, Sport or EX Trims). The Accords most powerful engine is a 3.5-liter V-6 paired with a 6-speed automatic transmission. The Accord LX is Honda’s most affordable, yet full of features including Bluetooth, multi-angle rearview camera, Pandora compatibility, USB audio Interface and 16″ alloy wheels. The Accord Sport includes 19″ alloy wheels, fog lights, 10-way power driver’s seat, Leather-wrapped steering wheel, 60/40 split fold-down rear seatback, paddle shifters (CVT-equipped models) dual chrome exhaust finishers and a fun decklid spoiler. Accord EX includes 17″ alloy wheels, power moonroof with tilt, smart entry with push button start and remote engine start (CVT only). A new 7″ display audio system wit Apple CarPlay and Android Auto, HD Radio, Sirius XM Radio, HomeLink remote system, LED fog lights & daytome running lights for better visibility and Honda LaneWatch. Want leather? The EX-L model is for you, plus extra’s like two-position memory driver’s seat, power front passenger seat, heated front seats, 360-watt AM/FM/CD premium audio system with 7 speakers as well as an available Navigation system with voice recognition and Honda HD Digital Traffic. The Accord EX-L also gives you a choice of engines, a 4-cyl or V-6 engine. The Accord Touring has it all including Navigation, Honda Sensing, 19″ alloy wheels, parking sensors, rain-sensing wipers and auto high-beam headlights. The rear passengers will be happy too with heated outboard rear seats. Ready to get behind the wheel? 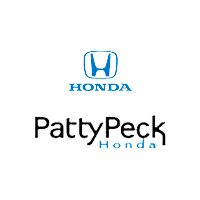 Contact Patty Peck Honda, your local Honda dealer serving Jackson at (601) 957-3400 to schedule a test drive today! Gas Mileage Est: 23 city/34 highway/27 combined mpg rating for 6MT models. 27 city/37 highway/31 combined mpg rating for CVT models. 26 city/35 highway/30 combined mpg rating for Sport CVT models. 21 city/34 highway/26 combined mpg rating for V-6 models. Based on 2016 EPA mileage ratings. Use for comparison purposes only. Your mileage will vary depending on how you drive and maintain your vehicle, driving conditions and other factors. *Full MSRP excluding tax, license, registration, doc fee and options. Includes $835.00 destination charge.